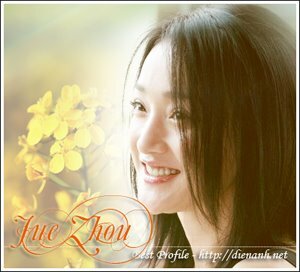 Zhou Xun: Symphony of Rain ! This is a tragic love story that happened in 1930's Shanghai. Chen ZiKun, a watch shop assistant, is in love with Fang ZiYi. Chen ZiKun got dragged into a lawsuit and Li YingQi bailed out Chen ZiKun. Li YingQi fell in love with Fang ZiYi despite that he was betrothed to Fan LiJun, Fang ZiYi's best friend. Du XinYu, the daughter of Du YunHe, the most powerful businessman in Shanghai, fell in love with Chen ZiKun. Chen ZiKun cured Du XinYu's psychological troubles. Chen ZiKun gradually started to like Du XinYu and he found himself lost in a triangular love affair with Fang ZiYi and Du XinYu, so he ran away. When he came back, he refused to marry Fang ZiYi since he knew that he couldn't provide enough for her to be happy. Du YunHe kidnapped Chen ZiKun and sent him to a rural area with Du XinYu where they bred their love in peace. At the same time, Fang ZiYi agreed to marry Li YingQi. Fan LiJun forced them to stay with her so she could avenge Fang ZiYi who left shortly. Then, Chen ZiKun and Du XinYu returned. The most luxurious wedding in Shanghai was prepared for them, but Chen ZiKun was late for it because of Fang ZiYi. Du YunHe was furious. Du XinYu quietly left for she realized that Chen ZiKun still couldn't let go of Fang ZiYi.